For many years, Mid Sussex Healthcare has been involved in GP Training. We believe that training the GPs of the future brings a fresh perspective to our own practice and that we all learn through teaching. Training also benefits patients, by bringing a fresh outlook and increasing the number of daily appointments that we can offer. 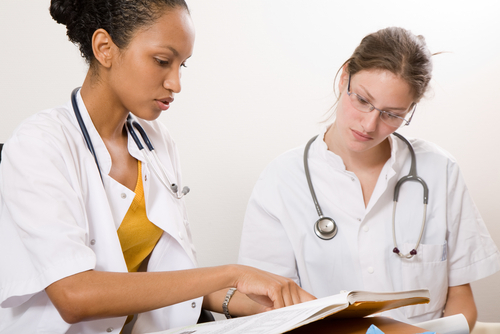 Training practices tend to retain high levels of patient satisfaction while creating organisations in which the resident GPs have been shown to improve their own knowledge and skills. Patient safety is paramount at all times and our GP trainees are supervised closely and undergo regular assessments both internally at the practice (reviewing video consultations with patient consent, real case-based discussions, direct observation of procedural skills), at their local weekly teaching program and through the Royal College of General Practitioners at the now mandatory MRCGP (membership) examination. As a practice we are assessed by the Regional Educational Deanery (see http://kssdeanery.org/) at regular intervals to ensure we maintain high educational standards. The GP Trainers are assessed every 3 years according to stringent national criteria. The particular emphasis is on maintaining good medical standards, developing our teaching skills, patient safety and practice protocols. In addition, our teaching skills are peer reviewed by local GP trainers regularly. This of course impacts on our day to day availability but on balance we are able to offer more appointments through having GP Registrars on site. We have two grades of junior doctors who work and receive training in the practice: Foundation Year 2 doctors and GP Speciality training Registrars. FY2 doctors are in their second year of their Foundation programme following qualification as a doctor. The foundation programme is aimed at giving junior doctors a wide experience of working in a variety of clinical settings at an early stage of their medical careers. Not all FY2 doctors will go on to pursue a career in general practice. GP Speciality Training Registrars are in specialist training before coming a General Practitioner. They will have had experience of a variety of hospital posts, and have been qualified as a doctor for at least two years before coming into general practice. Both grades are fully qualified doctors who are able to treat and advise patients in general practice. Both are fully supervised by their trainer, who is a GP Partner at the practice. You can expect to receive the same quality of services you would from your own GP, but if you have any concerns, please mention them to a member of staff. What is a Foundation Programme Year 2 FY2 Doctor? Junior Doctor Training has changed radically in the past 3 years, with a view to improving the quality of professional education. Following completion of a minimum of 5 years undergraduate training at Medical School, Doctors enter the 2 year Programme, split into FY1 which is mostly Hospital based and FY2. The purpose is to provide a far broader range of experience than the previous pre-registration year. How is the Foundation Programme training different? Over the 2 years there are 6 four month posts, which can include General Medicine, Surgery, Paediatrics, Anaesthetics, Psychiatry & Obstetrics for example. During the 2nd year, FY2 Doctors can elect to undertake one 4 month post in General Practice. FY2 doctors are fully qualified and GMC registered. They can see patients independently but they are under the supervision of the Clinical Supervisor GP who has to undertake further accredited training him or herself. The Foundation programme exposes all doctors of the future to general practice: it is a unique opportunity to show what work we do: how much we do and what primary care has to offer patients and the workforce. The GP Training program is 3 years in duration, with the first 2 years (ST1 & 2) in Hospital posts (a combination of General Medicine, A+E, Paediatrics, Obs & Gynae and Psychiatry, amongst others) but also incorporating two 4 month GP placements. The final year (ST3) is spent entirely in General Practice. It is at this stage that our Training GPs complete the MRCGP examination to gain accreditation to practice independently as a GP. All of us at Mid Sussex Healthcare are delighted to be engaged in Post Graduate Medical Education and hope that as patients of our practice you realize the beneficial effects of having enthusiastic GP Registrars in house. Please accept their services as an extension of our own. We are confident that, as we learn more about good general practice through teaching, our service to our patients will improve still further. There may be times when the Training Doctor will be videoing consultations for their learning. This is a powerful tool in developing effective communication skills when viewed by their trainer alongside the Training doctor and remains completely confidential. We will always ask you to sign your permission beforehand and then again after the consultation. You will be given the choice to decline this offer, and your decision will be fully respected and will in no way affect the care you are given.